Manila, Philippines - Graft and malversation charges were filed against 24 local government officials of Aklan by the National Bureau of Investigation (NBI), which includes the governor, vice governor, as well as the mayor and vice mayor of Malay town. The cases filed was in relation to the alleged misuse of P84 million in Boracay funds. The NBI also recommended filing of similar cases against 17 members of the municipal council, the treasurer and the former mayor and vice mayor of the town. According to a Philstar article, NBI Director Dante Gierran submitted to Ombudsman Samuel Martires the results of their investigation into the alleged misuse of millions of pesos in environmental and admission fees (EAF) collected from guests entering Boracay island. The said fund was supposed to be allotted for the preservation of the island. The investigation showed that the involved officials of Malay used the EAF to fund their projects such as solid waste management program of the 17 barangays in the entire municipality, instead of using it for three barangays in Boracay only. “The purpose of the collection was for the sustenance of the island of Boracay. It was compromised and violated when the mayor, treasurer, vice mayor and members of the Sangguniang Bayan of Malay allocated the EAF for the entire municipality,” the complaint dated October 22 read. Also the municipal treasurer Dediosa Dioso and former mayor John Yap and former vice mayor Wilbec Gelito. The complaint also mentioned the governor and vice governor of Aklan, but did not specifically identify them as Gov. Florencio Miraflores and Vice Gov. Reynaldo Quimpo. The mayor was reportedly suspended by the Ombudsman on the eve of Boracay's reopening in October. The collection of EAF started in 2006, it was transferred to the general fund from the province's trust fund, a move which allegedly violated local ordinances and the Local Government Code - mandating that the trust fund should be used only for purposes for which it was created for. The NBI complaint also stated that the transfer of the funds deprived Boracay of the intended benefits, as its share in the EAF was “comingled” with the funds of the municipality and the province’s solid waste management program. Further, members of the Sangguniang Bayan were also implicated for approving an ordinance defining the EAF as a special fund “exclusively for environmental and tourism programs and projects of of Malay,” although the rationale of the ordinance was to sustain Boracay as a premier tourist destination. The EEDDF is alloted for the operation of the province’s tourism office, and is also allegedly used to finance hospital operations, quarry service and an academic center. 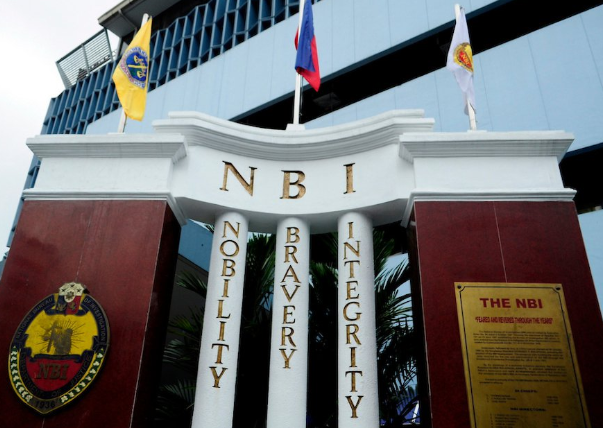 “This makes the sitting governor, vice governor, the Sangguniang Panlalawigan and the provincial treasurer from 2006 to present liable,” the NBI said. The bureau also found discrepancies in the EAF collections as reported by the treasury accounting and tourism offices since 2012 to 2017. Allegedly, Malay treasurer declared a much lower amount that the reported collections of EAF by the accounting and tourism offices. Treasurer Dioso reported P562.37 million in EAF collections from 2012 to 2017, while the accountant reported P593.049 million with a discrepancy of P30.679 million. “The discrepancy indicates that the municipal treasurer kept and converted for personal use the allegedly diverted fund,” the NBI said, pointing out the glaring difference between the records. The EAF collections was based on the number of tourists recorded, the municipal tourism office reported P650.23 million, which was computed by multiplying the P75 environmental fee with the number of tourists, less discount for senior citizens and students who visited. The NBI came up with a total of P84.86 million discrepancy between the treasurer’s reported EAF collection and the tourism office’s report. Cawaling, the mayor and Dioso were found liable for failing to act on the adverse audit findings. They allegedly delay the collections and account for the funds which gave an opportunity for fraud and corruption.